A second-grader runs around the playground with her friends at an afterschool program. Beyond excited for a sunny day, she notices something in a nearby trashcan. Carefully avoiding her friends’ watchful eyes, she rushes to grab some food that was tossed out. Tucking a snack bag in her pocket for later, she devours what remains of a sandwich, and catches up with her friends. Although this story may seem like one from an impoverished country far away, it’s happening right next door. 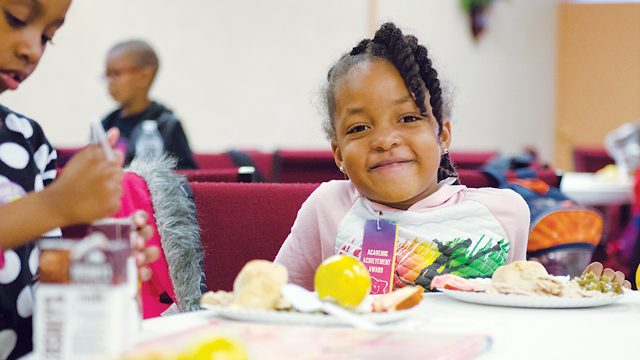 In Richmond, hunger is a real and serious issue for the children who receive a nutritious snack, or a hot, healthy meal through FeedMore’s Kids Cafe program or its Summer Food Service Program. And while the home-cooked, family-style meals FeedMore’s Community Kitchen prepares for the partner agencies’ sites are enjoyed by thousands of food-insecure children, stories like the one of the girl and the trash continue to play out. A child who struggles with hunger will resort to the garbage because she knows at home, the refrigerator is empty and the pantry is bare. During the summer, the sad truth is Richmond-area families in need have reduced access to nutritional programs for kids that may originate at school. What would you do if you were hungry? Where would you go? Who would you turn to for help? While these are questions many of us will never have to answer, for one in seven of our neighbors, chronic hunger is a reality. for kids that may originate at school. The face of hunger has shifted dramatically during the last decade. “Today, hunger is far more familiar and recognizable,” says FeedMore CEO Doug Pick. FeedMore’s recipients, served through more than 320 partner food pantries, soup kitchens, group homes, and other community sites, are largely the working poor who come to seek assistance in emergency situations. Their need is typically episodic and by no means a long-term partnership. FeedMore distributed 18.6 million meals last year via its partner agencies and programs like the Summer Food Service Program and the Mobile Pantry. Although these stories are rather bleak, this is the harsh reality of the Central Virginians who FeedMore helps. And the work cannot be done alone. “We rely on the support of community to help fulfill our mission to work to break the cycle of hunger by empowering the lives of our neighbors in need,” says Pick. 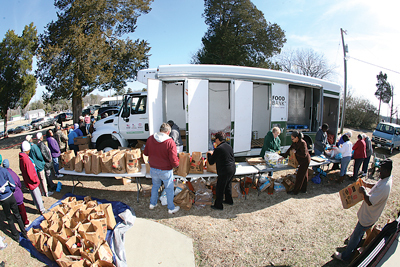 FeedMore is Central Virginia’s core hunger-relief organization made up of programs like the Central Virginia Food Bank, the Mobile Pantry, Meals on Wheels, Hunger Hotline, the weekend BackPack program, and others. With almost 200,000 children, families, and seniors struggling with hunger in Central Virginia, FeedMore provides nearly 51,000 meals every day to food-insecure citizens of the region. FeedMore’s service area stretches across thirty-four cities and counties, spanning nearly a third of Virginia. 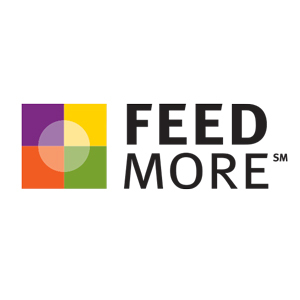 In the most recently completed fiscal year, FeedMore distributed 18.6 million meals through its programs and network of partner agencies that play a critical role in getting nourishment to those who need it most. For details on how you can set up a food drive this summer, go here RVA.